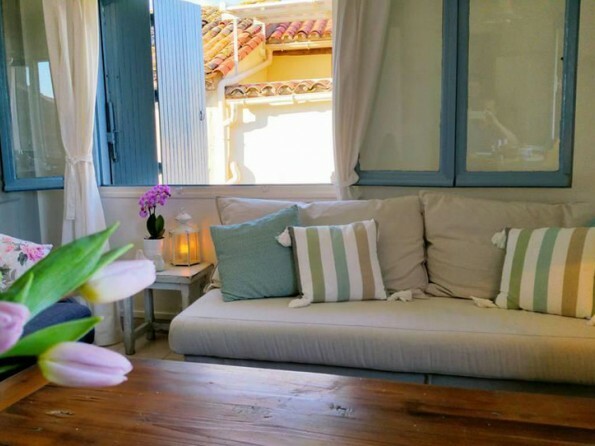 Beautifully restored, Maison de Thau is a gorgeous little 19th century fishing house; a hidden gem set within the old castle walls of historic Meze in France. 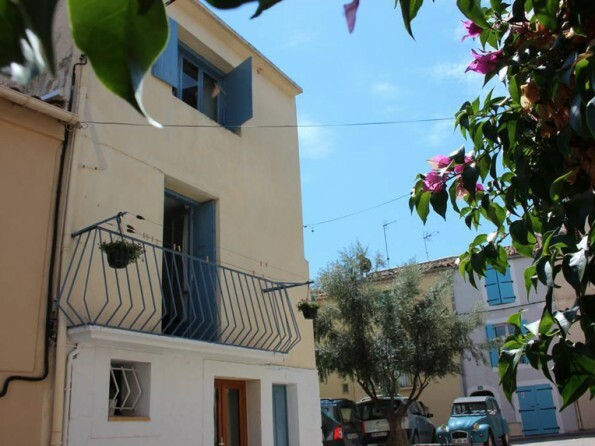 Found on a sun drenched square in the heart of the tiny winding medieval streets of the town, it’s a lovely little hideaway just a short walk from the local beach. Meze is thriving fishing village and sits on the L'Etange de Thau, a lagoon which is famous for its oysters. It has a twice weekly visiting market and a sun drenched port where restaurants line the waterfront. 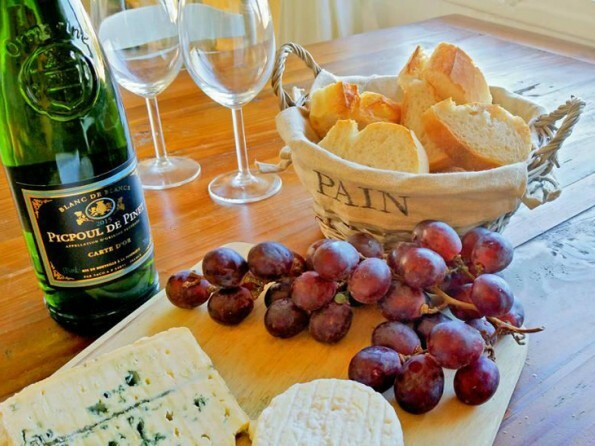 Relax on the local beach, swim in the calm waters of the Etange, or take a bike ride through the stunning local vineyards stopping to sample the local wine and discover picturesque villages in this unspoilt corner of France. 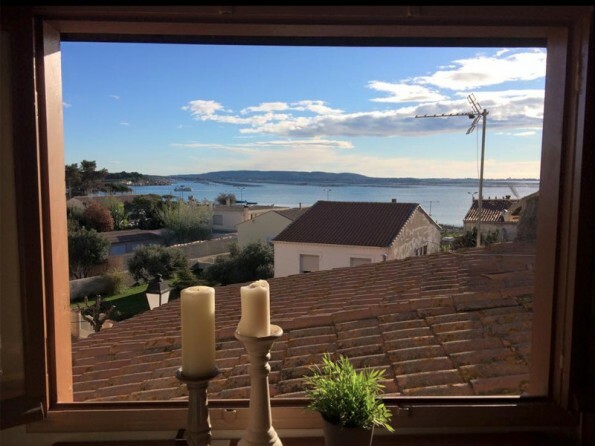 Maison de Thau sits on the ramparts of Meze overlooking stunning views of L'Etang de Thau, and is a 20 minute drive from the beautiful city of Montpellier. There is lots to do in the surrounding area. 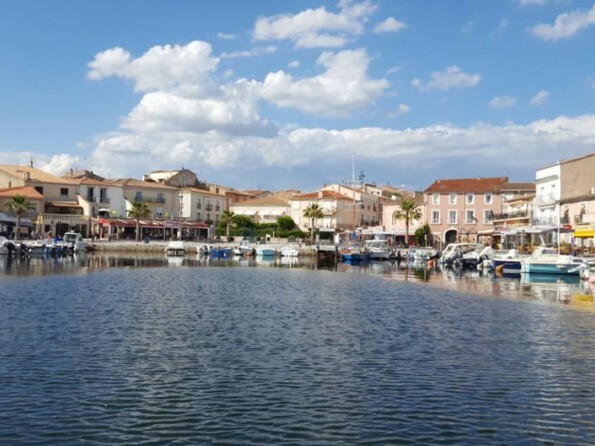 Beaches, fantastic restaurants, sailing, vineyards and wine tasting, wild river swimming, cycling, thermal spa and historic towns, all within a short distance of Maison de Thau. 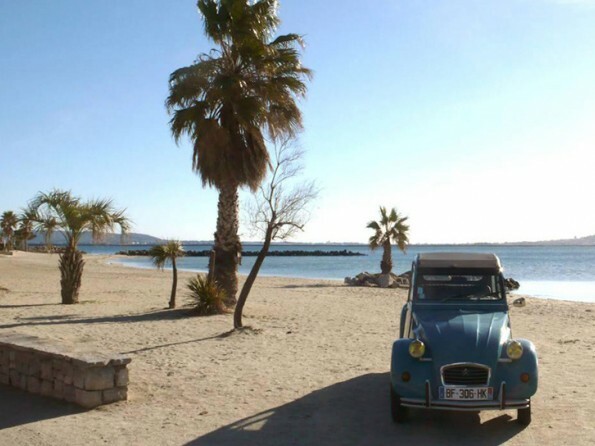 Meze is a 20 minute car journey from Beizer and Montpelier airports. If you don’t want to fly, then you can take the Eurostar from London to Paris, and then a TGV which runs direct to both Montpelier and Sete. Journey time from Paris is approximately 4 hours. The house can sleep up to four people. 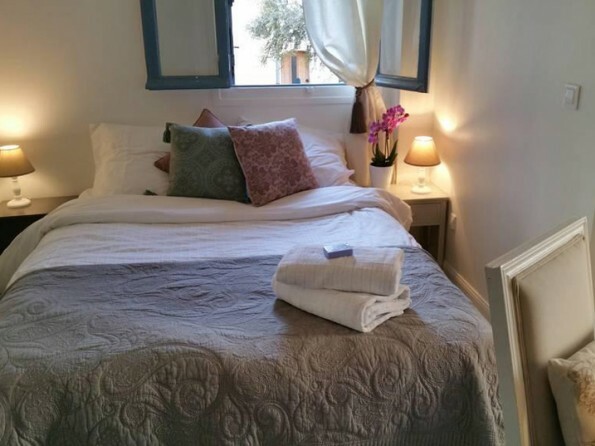 There is a double bedroom ensuite on the first floor - the bedroom overlooks a tiny square shaded by a beautiful old olive tree. 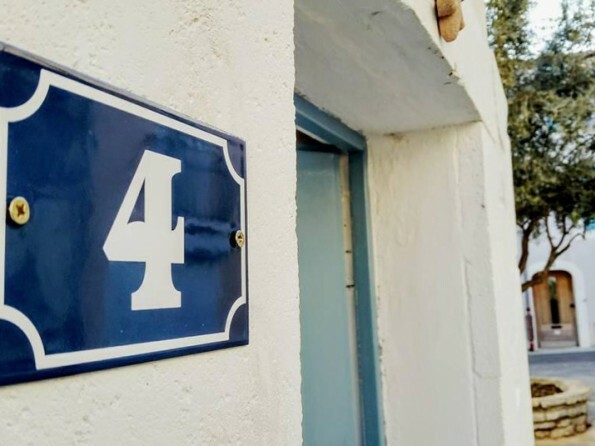 The bedroom opens up onto a cosy sitting room with a small balcony, where you can glimpse the sea view. 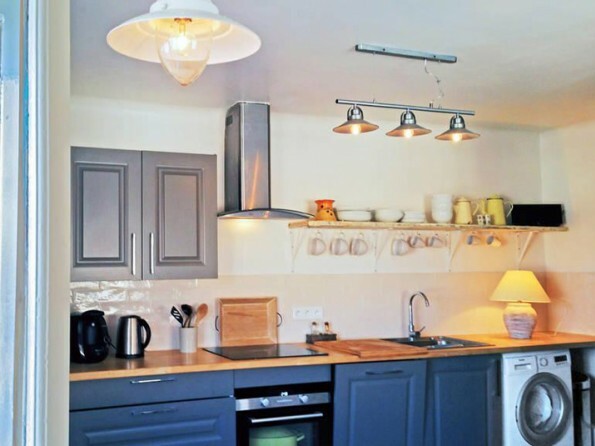 The open plan living area includes a fully fitted kitchen complete with washing machine & dishwasher. 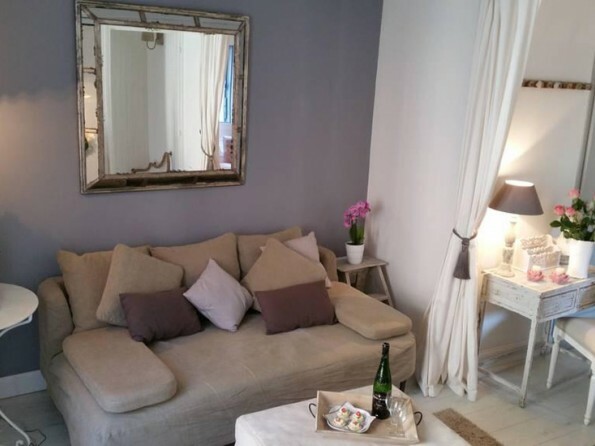 The sitting area has a double sofa bed. 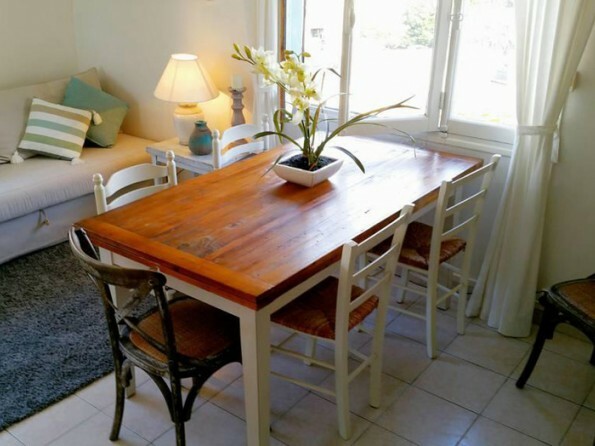 The dining table seats six and has panoramic views of the lagoon. Owing to the age of the property it has steep stairs so maybe not suitable for all guests. There is a small balcony which leads off the sitting room and has sea views. Minimum stay 3 nights. Discounts are available for longer stays. 50% non refundable deposit is required on booking. Prices include electricity and wifi. Well behaved children & pets are welcome. Additional fees and cleaning charges may apply.